Mairead Trainor Age 15 from the Trainor School, London. 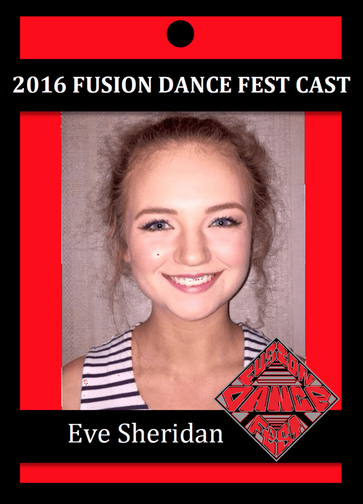 We asked Mairead a few questions about being in the Fusion Dance Fest 2016 Cast! "I started dancing when I was 3 years old and have had a passion for it ever since! Dancing means the world to me, I don't know what I would do if I didn't dance. I have won every major title with the exception of the world championships where my highest placing has been 2nd. It is my ultimate dream to win a world title and to then perform in a show as a professional dancer. I wanted to apply for 'Fusion Dance Fest' as I am looking forward to learning a new and creative style to Irish dancing. I am also looking forward to meeting other dancers who have come from around the world and to also have the chance to perform to an audience and to take part in the video projects." Congrats to our 2nd scholarship winner Eve from Galway! 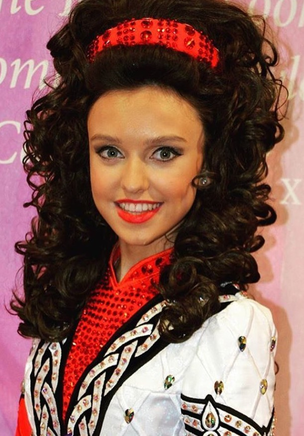 I started dancing when I was about 5 years old with the Hession school of Irish Dance in Galway. With the help of Gemma Carney, Deirdre Gallagher and many more over the years, I have been able to achieve Connaught titles, World & All Ireland medals in the competative side of Irish Dancing. But it has always been my dream to become a dancer as part of a professional show. I am looking forward to the Fusion Dance Fest so I can broaden my horizons as a dancer by learning different styles of dance and gaining a new perspective on Irish Dance. I am delighted and honoured to be the winner of the second scholarship for the Fusion Dance Fest 2016 and I'm looking forward to a great week in August!"